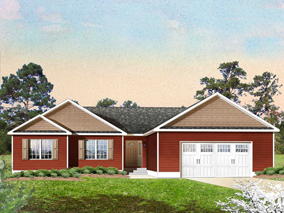 The Louisburg is a traditional ranch-style home with three bedrooms and two full baths. The large kitchen offers an optional island and optional walkout bay window. The formal dining room and enormous great room complete this unique design.